Hello and welcome to the first edition of Pitchers I Can’t Pick Up! Many waiver wire articles will give you plenty of names for you to consider, but how many of them take into account who you will be dropping? Just because someone is a hot pickup this week doesn’t necessarily mean they deserve a place on your roster over a player you already own. In addition, picking up the player being advocated may not always make sense in the context of your team. 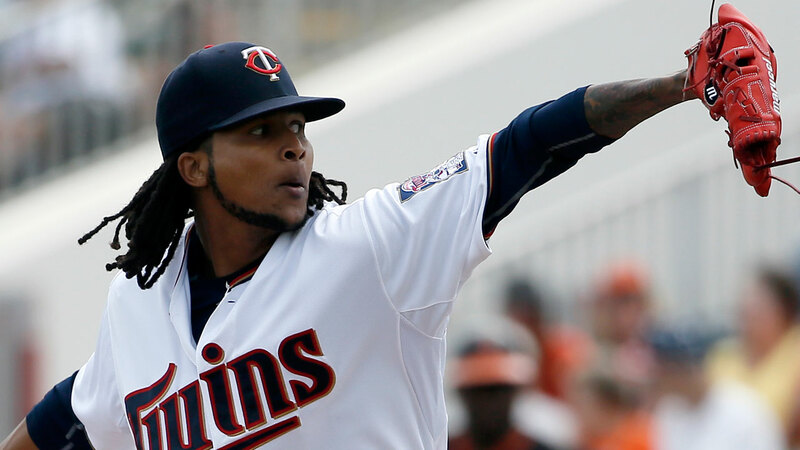 In this weekly article, I will be examining pitchers who made a strong impression on the waiver wire this week and giving reasons why they don’t belong on your team (and maybe a reason or two why they do). We’ve been through this song and dance with Santana before. For stretches he can look like a quality pitcher that can get a decent amount of strikeouts for your team, but this time around he’s gotten 6 Ks…in a two-start week. Through these two starts Santana owns an absurdly low .088 BABIP along with a 100% strand rate, which indicates he’s gotten seriously lucky so far. The luck may continue in his rematch with the White Sox at home this week, but I wouldn’t bank on it going much farther. You’d be wasting a roster spot holding onto him, as there are guys out there with far more upside I’d rather own. Unlike Santana, Manaea was unable to get a pair of quality starts in his two start week. However, he was able to rack up 10 Ks against the Rangers in his second start and currently holds a pretty low 36.8% strand rate that points to some bad luck. If you drafted Manaea, you probably invested some value into owning him and I’d advise you’d hold tight. It’s too early in the year to drop a pitcher like Manaea, who probably just needs some time to get his form together. 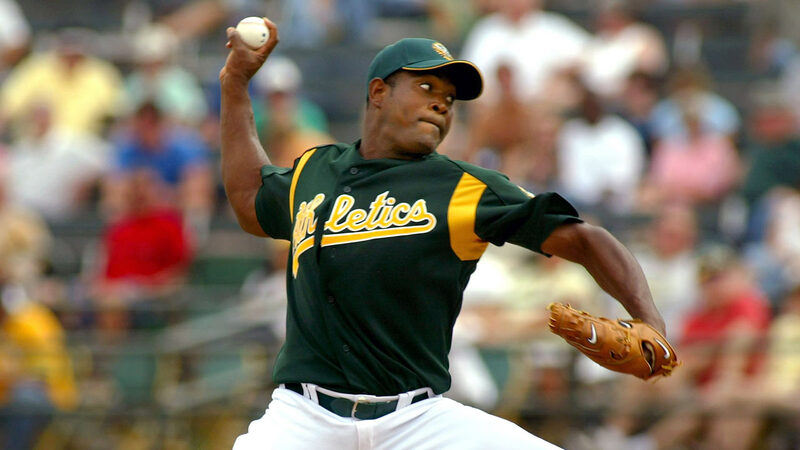 After talks of a committee to open the season in Oakland, A’s manager Bob Melvin gave the first save opportunity of the season to Santiago Casilla, who converted and became one of the most added relief pitchers of the week. While Casilla has closer experience and will play a role in the committee, it appears that the forward-thinking Melvin was playing the matchups as Casilla pitched the ninth in a lower leverage situation than the prior inning. This usage should continue, meaning save opportunities will come from multiple pitchers as the situation dictates. If you’re looking for saves, I’d look to pick up someone firmly in the closer role (e.g., Greg Holland, Blake Treinen, Brandon Kintzler) before adding Casilla, who will have inconsistent opportunities going forward. Until Rangers manager Jeff Banister says otherwise, Sam Dyson is still the closer in Texas despite an awful Week 1 and that makes him more valuable than Casilla. If you want to cover your bases, keep an eye on Matt Bush and be ready to make a move if Dyson’s struggles continue. Bundy stands out among the popular waiver adds of this week based on two things: strength of the team he pitched against and a reputation as a pitcher that can get strikeouts. 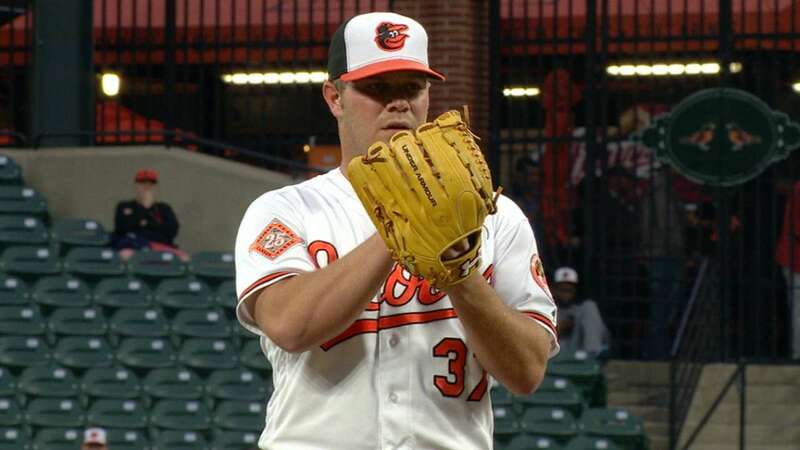 While Toronto is typically a strikeout-prone team, it is never easy to do what Bundy did and limit them to 1 ER over 7.0 IP with 8 Ks in his first start of the year. He hits the sweet spot between Brandon Finnegan and Kendall Graveman as he gets more Ks than Graveman, walks less batters than Finnegan, and appropriately leads the trio in K/BB ratio with a solid 2.48 in 2016. All three of them make an intriguing pickup if you have someone to drop, but if you can only go with one, I’d choose Bundy. His upcoming week may look scarier than the other two, but with the Boston lineup currently hampered by a flu outbreak and having him dominate Toronto in his first time out, he’s worth the risk for this week and rest of season. I’m pretty convinced that Pineda will forever be a sabermetric tease. While posting a horrendous line of 8 H and 4 ER in only 3.2 IP on Wednesday, a 6:0 K:BB ratio means his xFIP and SIERA currently stand at a stellar (and misleading) 1.07 and 1.29, respectively, accompanied by an outrageous 0.636 BABIP. It’s possibly the most Pineda-y line ever for Pineda and a perfect demonstration of what you can come to expect from him this season. The Ks and the potential will always be there, but until he can consistently produce results, he should only be used as a streamer for when you need the strikeouts. Feel free to provide any constructive feedback and/or angry incoherent ranting at my Twitter account here.